We want you to join us April 5th for our big Fashion With A Passion event but we want you to enjoy safely as well which is why we have teamed up with Uber to offer you $20 off your first ride. Take a ride with your ladies in style or take advantage of UberX which is 40% cheaper than a taxi! 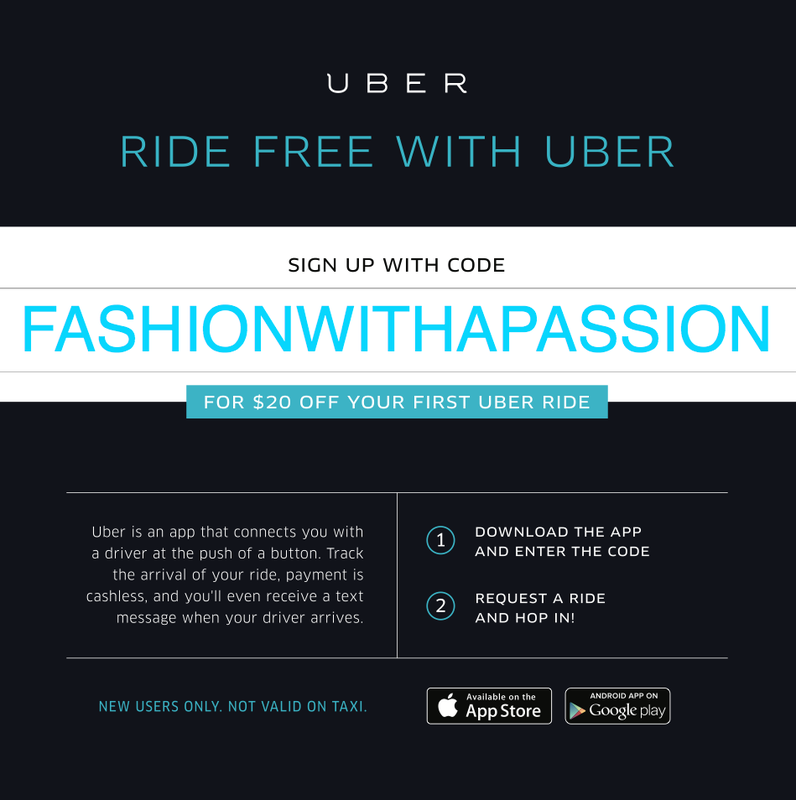 To sign up, go to https://get.uber.com/go/fashionwithapassion and download the Uber app straight to your phone. Don’t forget to enter the promo code FASHIONWITHAPASSION!